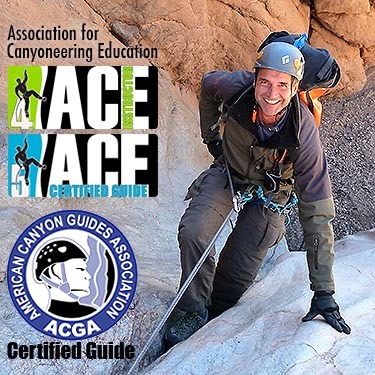 As owner of the largest canyoneering training provider in the U.S., I have been referred to as one of the most prolific and best-trained canyoneering instructors in America. ACE (Association for Canyoneering Education) Master Instructor/Certified Guide, ACGA (American Canyon Guides Association) Certified Guide, Officer and Instructor, Certified Tactical Rappel Master, Wilderness First Responder, Advanced Swiftwater Rescue Technician, Technical Rope Rescue Technician, trained Whitewater Rafting Guide, former Basic Mountaineering Instructor for Sierra Club’s Wilderness Travel Course, Map & Compass Navigation Instructor and a Master Educator for Leave No Trace wilderness ethics. I have been an outdoor enthusiast since 2003, mainly revolving around outdoor cross-country travel and exploration. I finally found out about the exciting sport of canyoneering in December of 2013 and began training with Uber Adventures. Focusing on learning the fundamentals and safe practices of canyoneering I quickly realized I had the canyoneering bug. In this sport, the things I find most satisfying are: 1) being able to safely descend deep into these beautiful, rarely seen places, and 2) the camaraderie and teamwork that I have not experienced in any other sport. Growing up near Detroit, I spent my summers learning about the outdoors as a camper and counselor at camps across Michigan and Canada. After graduating from The University of Michigan I travelled to Scotland and completed a graduate degree in Outdoor Education from the University of Edinburgh: I worked with Indiana University Outdoor Adventures and received my EMT and Wilderness EMT certifications, eventually becoming a Paramedic and Professional Firefighter. Today I run backpacking trips across the US and instruct Wilderness First Aid, Wilderness First Responder and Wilderness EMT courses. 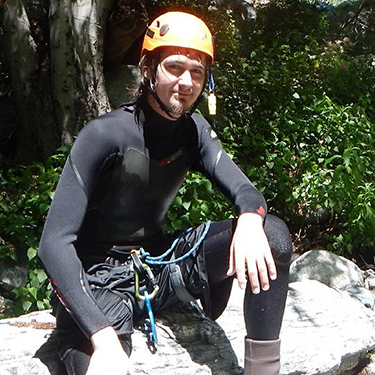 Jeremy was born in raised in an area foreign to canyoneering, a village in the far-east, Columbia, Maryland. 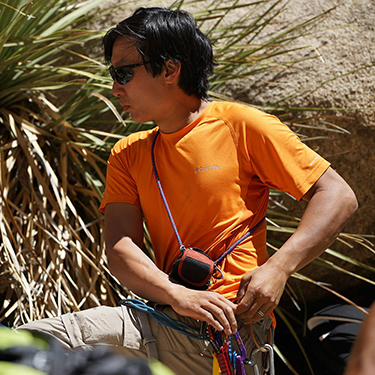 He started following his love of the outdoors in 2001 and since then has spent most of his free time rock climbing. At least it was that way until 2003 when Aaron Ralston showed us all the beauty of Utah slot canyons. Jeremy saw these destinations and quickly sought out the sport of canyoneering. Since then, with training from the ACA, Uber Adventures, AMGA, LNT, and REI, he continues to explore canyons and climbs throughout the southwest. Jeremy is always excited to help spread the enjoyment of these addicting sports with others. Training Partner, Colorado. 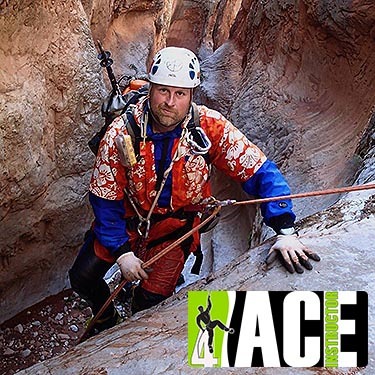 ACE L1-L4 Canyoneering & Rappelling Instructor. To put it mildly, AJ has a passion for the outdoors. 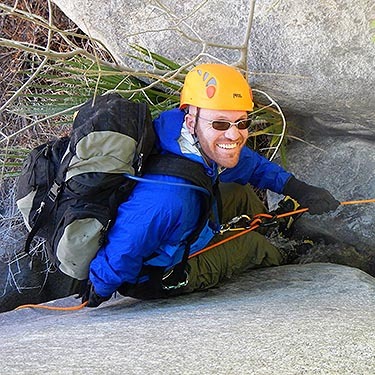 Not only does he have more than 30 years of experience backpacking, skiing, cycling, scuba diving, skydiving, rafting and adventure racing, but his adventures and training include the vertical roped sports of canyoneering, rock/ice climbing, mountaineering, caving, mountain rescue and cave rescue. During the 10 years he has been canyoneering, he has descended more than 1,000 canyons around the world. In addition to his recreational pursuits, he has also taught or helped teach survival skills, winter survival, rock climbing, adventure racing, ice climbing, caving, mountaineering, canyoneering, and is now partnering with Uber Adventures to teach in Boulder, CO.
Kevin Hawkins has been instructing Swift Water Classes for over 15 years and has held certificates from Indian Department of Transportation, Cal Fire, Rescue 3 and Balanced Edge. He has a passion for learning and stands out as an instructor for his critical attention to safety. He is an active member and instructor for his local SAR team and brings an empowering and fun approach to his classes. His past and present certifications include Special Response Diver with National Police Divers Academy, EMT, WFR, High Angle Specialist, Advanced High Angle Rescue (TRR), Structural Fire Fighting, Advanced Open Water Diver, Confined Space Rescue, ASRT (Advanced Swiftwater Rescue Technician), Rescue Instructor, Swiftwater Rescue Instructor, Lead Rescue Instructor, Swiftwater Awareness, and is currently the VP and Instructor for Yolo County SAR, Owner and Lead Rescue Instructor with Balanced Edge. My name is Collin Goebel and I’m 27 years old. My love of nature comes from backpacking and 5 years of rock climbing. Two years ago my brother introduced me to canyoneering and I enjoyed it so much I took 3 of the Uber Adventures courses (ACE-L1/L2/L3), and I have been helping teach the ACE-L1 class for Uber Adventures for the past year. My canyoneering experience includes descents in Arizona, Southern California, The Sierra, and Zion. I am currently in the process of becoming certified in Swiftwater Rescue. Though a film/television editor and photographer by trade, ever since his first whitewater rafting trip at 13yo, Brian has been relentlessly pursuing outdoor adventure in the form of cycling, hiking, kayaking, canyoneering, rafting, scuba diving, backpacking, skiing, climbing, snow shoeing, and anything else that gets him out there. 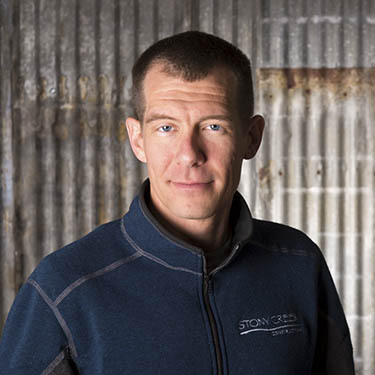 His desire to teach came from having taken formal classes in outdoor education from NOLS, REI, Uber Adventures, SOLO, PADI, and the Sierra Club. 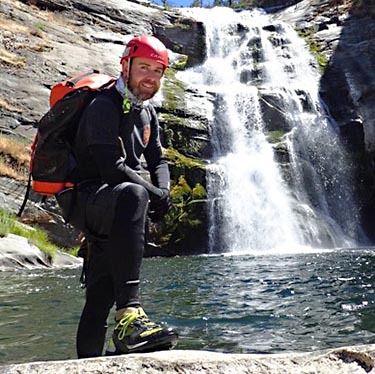 Currently a map-and-compass navigation instructor for Uber Adventures, he also teaches basic mountaineering for Sierra Club’s Wilderness Travel Course. 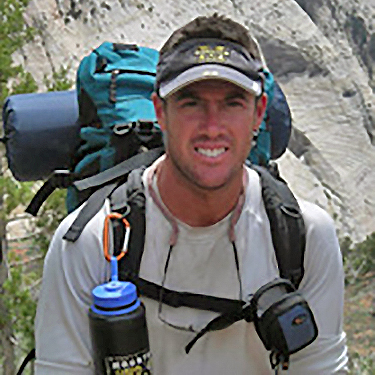 He is a certified Wilderness First Responder and is well-trained in canyoneering & canyon rescue.